I've been ironing and curling my hair for years. I thought it was the time to share with you how I protect it from heat. I always had good quality hair, even though I went through so many phases from ginger, to almost black and now blond. When you add ironing, curling and blow drying to it, it could turn into a mess if I didn't properly nourish it. I had phases when I was obsessed with my hair and I was over protecting it, which is never a bad thing. Maybe that saved me. What I wanted to say is that if we do all of this to our hair, we need to protect it in a right way. So, I always used different types of masks for my hair. I always have few of them so I can use each time a different one. Besides that, I love to use ampules after washing it, leave in or ones that you put on on hair as a mask. One thing I swear by is Macadamia hair oil. I discovered that oil back in high school and I've been religiously using it for years with some breaks, when I was trying some other ones. That's the best oil for your hair! You can use it in a mask, on a wet hair or when it's dry. It will protect your hair and make it smooth and shiny. It's a bit pricey for the quantity(15mill for 9e), but the secret is a little goes long way. It's totally worth it! Before the masks and oils, we should pay attention to proper tools for our hair. It's been years since the popular Tangle Teezer brush came out. One that doesn't rip and damage your hair. I got mine in Macadamia brand. It has elastic bristles and it's so gentle to my hair. I love using it. Besides everyday brushes, you should pay attention on the ones you are blow drying your hair with. Don't use cheap plastic ones, they are just going to rip your hair and damage your scalp (I've been there). Last, but not least are heat protectors! If you are using your straightener or curling iron on a regular basis you should definitely have one. Here is how they keep your hair safe: ➳ They are creating a protective layer on top of your shaft. Which means your hair is not going to be burnt and it's going to lock in moisture. ➳ It's making your hair easier to style. There are a lot of silicones in them and that's why hair is smoother and easier to style. ➳ It will restore moisture to your hair. Your hair is always thirsty for moisture and by using it you are going to keep it conditioned. Right now, I'm using Dikson System Heat Protector and I'm loving it. It's not drying my hair out, it's shiny and protected after I use it. I'm using it on wet hair and before I curl it. For the end, I would like to say don't forget to cut your hair regularly! I like do it every month, because I have a bob and I'm coloring it and it's more needy. Watch your hair, protect it, nourish it and cut it! Give it a rest from time to time. I like to rest mine in the summer. What are your favourite products for nourishing hair? 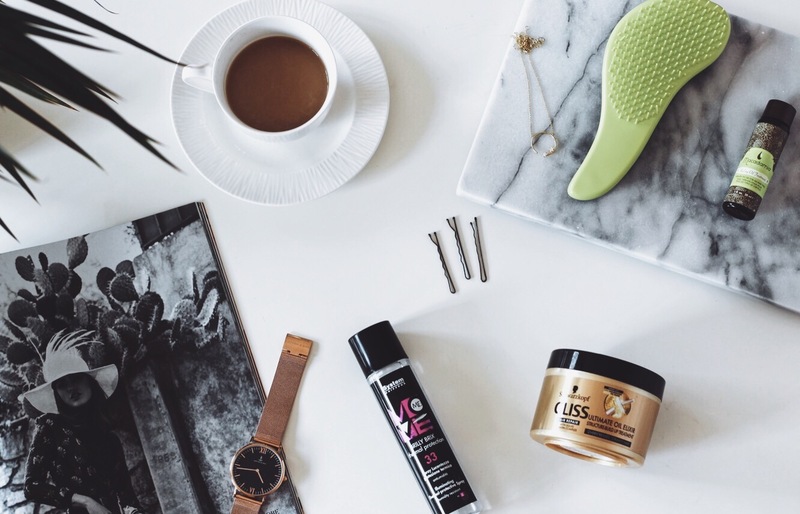 It's so nice to see a blogger share hair products that aren't excessively expensive. I want to try out the Macadamia products! Great blog post highlighting these fantastic products. 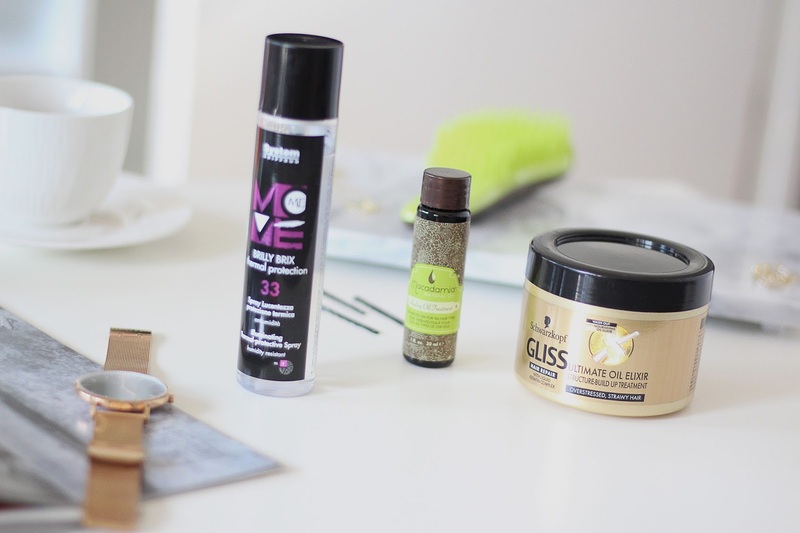 So cool to see you mention these products, I actually just started using them because my hair was so damaged..great post! Thank you for sharing these hair products! 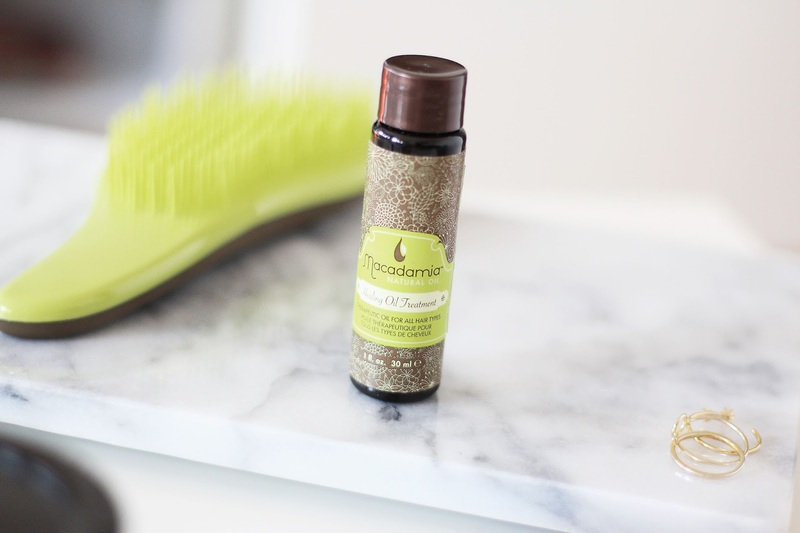 It's awesome to see what others use to take care of their hair! I never help my hair along and need to change that. It's been feeling drier and frizzy. I think i'll try the oil. I have heard good things about that detangler! I'll have to give it a try! I love using the tangle free combs in the morning on my wet hair. It's so much better than a comb or regular brush. Age may not be a problem for you.